The term head and neck cancer includes tumors arising in the mouth, throat, larynx, sinuses, lymph nodes, salivary glands, and thyroid gland. There are 50,000 new cases annually in the United States according to the National Cancer Institute, and it is the sixth most common type of cancer worldwide. Tobacco and heavy alcohol use are traditional risk factors. Infection with human papillomavirus (HPV) causes many types of head and neck cancer in non-tobacco users, however, and has become a significant problem throughout the developed world. 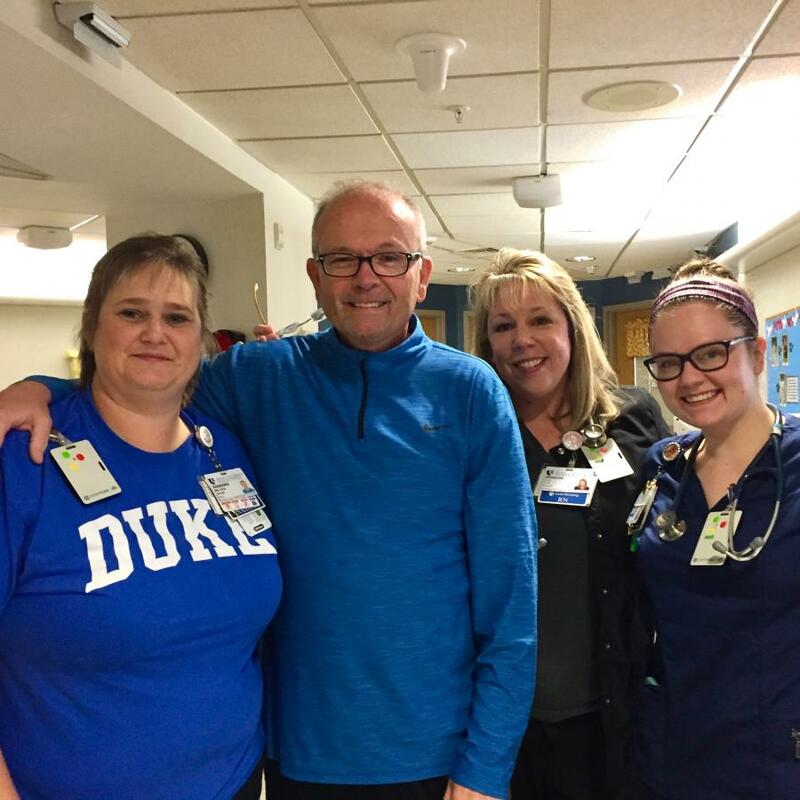 Duke is a high-volume referral center for treatment of head and neck cancers. Physicians within this disease group are internationally recognized research and clinical experts who make these diseases their primary focus. Duke Cancer Institute's Head and Neck Cancer disease group has developed treatment innovations that now constitute the standard of care, such as a combination of intensive radiation therapy and simultaneous chemotherapy for advanced-stage head and neck cancer, operations that result in better function and less disfigurement, and the utilization of PET scanning before and after treatment to guide decision making. Our team of specialists in head and neck oncologic surgery, plastic and reconstructive surgery, radiation oncology, medical oncology, radiology and pathology ensure that each patient receives state-of-the-art treatment—supported by the most advanced technology available anywhere. Robust speech pathology, audiology, and patient support services are also play an active role in helping patients maintain quality of life throughout treatment and recovery. We've created a new model for integrated care for the treatment of head and neck cancer embraced by cancer centers across the world. Duke radiation oncologists are leading the effort to use functional metabolic imaging to better determine prognosis, to predict the outcome of a planned course of treatment, and to personalize overall treatment strategies. They are studying the use of CT and PET scans before and early in the course of treatment to determine if changes can be used to adjust treatment to reduce side effects. This information will help to personalize treatment for individuals. Duke head and neck surgeons use transoral robotic surgery for the treatment of select tonsil, tongue, and larynx cancers. This technique allows resection of these cancers without the need for large deforming surgical procedures and with a greater chance of preserving speech, swallowing and breathing functions. Our researchers are investigating a light-based optical probe to rapidly and noninvasively analyze tumor characteristics and identify biomarkers before and during treatment. This probe, developed by Duke University biomedical engineers, may improve the ability to detect cancer and monitor the effectiveness of treatment, thus facilitating more personalized treatment recommendations. A Phase 1a-b Trial of Concurrent Radiation Therapy, Cisplatin, and BMX-001 in Locally Advanced Head and Neck Cancer (NCT02990468) This trial is supported by the NCI and designed to determine the role of a drug developed at Duke, BMX-001 in patients undergoing radiotherapy and concurrent chemotherapy for locally advanced head and neck cancer. BMX-001 is a free radical scavenger. Laboratory investigation at Duke has shown that it significantly reduces the severity of mucositis (mouth sores) and xerostomia (dry mouth), the two most common and severe side effects of treatment.Health related quality of life will be evaluated both during and after the completion of treatment. This trial is only available to patients being treated at the Duke Cancer Institute and the University of Colorado. For more information on this and other trials, SEARCH OUR CLINICAL TRIALS. We discover, develop and deliver the future of cancer care . . . now.